The Punjab Cabinet on Tuesday gave a nod for increasing women reservation in Panchayati Raj Institutions (PRIs) and Urban Local Bodies (ULBs) from 33 per cent to 50 per cent. 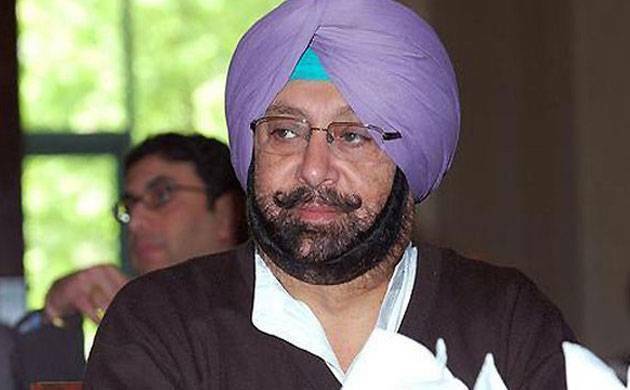 A file photo of Punjab Chief Minister Amarinder Singh. A decision to this effect was taken by the Council of Ministers in a meeting chaired by Punjab Chief Minister Amarinder Singh on Tuesday, an official release said. The enhancement of reservation for women in PRIs and ULBs was a key poll promise of the Amarinder government. The draft bill to amend the Panchayati Raj Act, 1994, the Punjab Municipal Act, 1911 and the Punjab Municipal Corporation Act, 1976, will be placed in the Punjab Assembly session, commencing tomorrow, the release said. The amendment will help empower women in the rural areas by enhancing the reservation in the direct elections for the members of gram panchayats, panchayat samitis and zila parishads, besides municipal corporations, municipal councils and nagar panchayats. The representation of women in the offices of sarpanches of gram panchayats, chairmen panchayats samitis/zila parishads, besides mayors of municipal corporations and presidents of municipal councils/nagar panchayats will also be enhanced accordingly, the release said. The Council of Ministers also decided to exempt the mega food parks being set up in the state from the provisions of Section 44(2) of the Punjab Apartment and Property Regulation Act, 1995 (PAPRA). The decision is aimed to boost the development of the food processing industry, especially the mega food park projects, besides securing employment for the unemployed youth. The decision will exclude future projects from the requirement of taking a license under PARA. Further, to ensure fiscal management in view of financial constraint, the Cabinet decided to seek Government of India’s approval to swap high-cost market loans taken by the state government with new low-cost market loans. This decision will go a long way in improving the financial position, besides providing better opportunities to incur expenditure on development works in the state. Meanwhile, the Cabinet also gave the nod for the Khalsa University (Repeal) Ordinance, 2017 to be presented in the House for enactment. The decision has been taken to preserve the glorious heritage and rich legacy of over a century old prestigious Khalsa College. The Punjab government in April had decided to scrap the Khalsa University Act 2016, to “save the historic 125-year-old Khalsa College from losing its heritage status”. The Khalsa University, Amritsar was established by the Khalsa University Act, 2016 by the previous SAD-BJP alliance government.